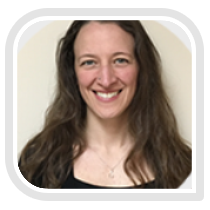 Christine Petersen re-joined the massage team at A Spa to Remember in 2016 and is a 2004 graduate of the Muscular Therapy Institute (now, Cortiva Institute). Her integrative approach incorporates a variety of modalities, including therapeutic, deep tissue massage, and stretching techniques, tailored to help facilitate her clients’ own healing process. She has also received advanced training in oncology massage. Christine is a professional member of the American Massage Therapy Association. She is a licensed massage therapist in Massachusetts and is certified in First Aid/CPR. Christine also holds a B.A. in English and French from Merrimack College. Everyone on our spa staff is dedicated to you 100%. We strive to make your service the best possible. We are a quaint little spa that makes everyone feel right at home. This is intended to give everyone a personal touch and friendly atmosphere. We enjoy getting to know our clients on a regular basis, and feeling like we can be friends for many years to come. We are winners of The Readers Choice Awards in Chelmsford for the Last 8 years. We took the Best of The Best in skincare for Chelmsford/Billerica for 9 years. It is in our best interest to make sure everyone is pleased with his or her service. If for any reason you are unhappy, please let us know. We have many high quality treatments and skin care products to reach your optimal results without using invasive treatments. No need to traumatize your skin to achieve great results. Our services include skin care, facials (anti-aging and acne), massage therapy, organic spray tanning, eyelash and brow tinting and waxing.